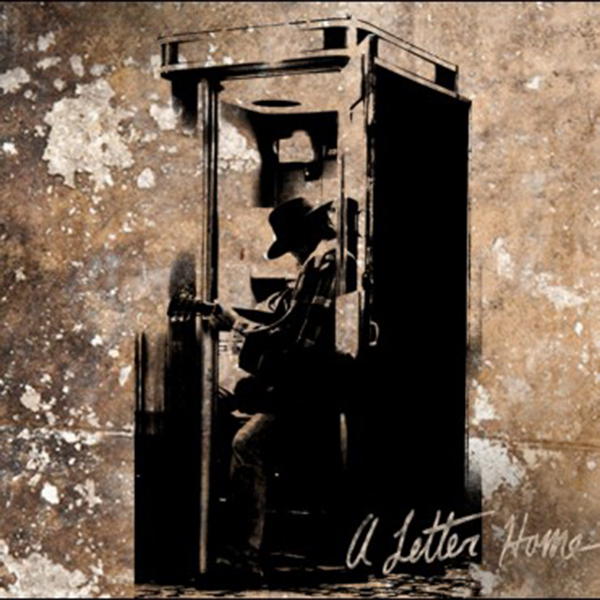 If you haven’t already figured out that Neil Young operates on his own special wavelength, his new covers album A Letter Home should drive that notion home for you. Not only did Young suddenly make the album available for sale on his website without any advance notice, he recorded the thing on something called a Voice-O-Graph, a vintage, phone-booth like recording station. Oh, and he starts the album off by reading a letter to his dead mother. Other than that, it’s business as usual. It’s debatable whether the pops and hisses make Young’s versions of these relatively well-known songs more intimate, or what the point of recording material made mostly in the 60’s and 70’s on equipment from the 40’s might be (the album was cut using Jack White’s Voice-o-Graph recording booth.) And let’s face it, no matter the original source or the method of delivery, the end result is going to sound like a Neil Young song anyway. Yet for those who are willing to follow Young down even this bizarre musical alleyway, there are pleasures to be had. As is often the case with covers albums, the more obscure stuff shines. Young does right by unheralded folkies Phil Ochs and Bert Jansch with tender readings of “Changes” and “Needle Of Death,” the latter of which directly influenced Neil’s own “Needle And The Damage Done.” And fellow Canuck Gordon Lightfoot’s “Early Morning Rain”, a song partly about how the modern world won’t even let you feel sad the right way, is an inspired choice. Not everything sizzles here. Young’s gonzo phrasing on Bruce Springsteen’s “My Hometown” sounds like the result of a faulty teleprompter, while the piano songs chunk along like wagons on a rocky road. Still, there is a one-take charm to the performances on A Letter Home, an album that’s more of a tribute to Neil Young’s ever-loving idiosyncrasy than to any of the artists covered.